The jury is about to conclude the final phase for the selection of the 110 finalist artists of the 5th edition of Arte Laguna International Prize. 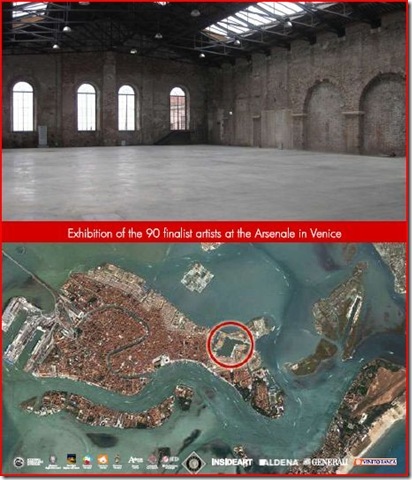 All the finalist artworks will be on display at the collective exhibition which will open on 12th March 2011 in the enchanting venue of Venetian Arsenale and will be inserted in the catalogue of the prize. During the opening the names of the 5 absolute winners will be announced, one for each section of the contest (painting, sculpture, photographic art, video and perfomance) and the artists will be awarded with numerous special prizes. The jackpot: more than 100,000 euros, divided into prize money, 37 personal exhibitions in Italian and International galleries, 4 Artist in Residence, Business for Art Prize and many relevant collaborations. In the same period there will be also the group exhibition of the best artworks of under 25 artists which will be held at the Palazzo Correr, in the “Istituto Romeno di Cultura e Ricerca Umanistica” of Venice, a special showcase for its strategic location. The applications for this edition came from over 95 countries, testimony of how Arte Laguna Prize has gained importance and success in the international art scene and has become an opportunity for many artists. 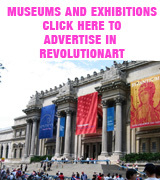 From a general analysis of the artworks it can be observed that even this year the Prize outlines an interesting map of the emerging contemporary art. 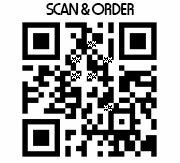 Among the registered works of art the main technique is painting (48%) followed by photographic art (24%), sculpture and installation (19%), video (7%), perfomance (2%). The chairman of the jury is Igor Zanti, curator and art critic of Milan who has been following the Prize since its first edition. This year’s jury is composed by: Gianfranco Maraniello, director of Museum MAMbo of Bologna; the Director of Centro Arti Visive Pescheria of Pesaro Ludovico Pratesi; the co-founder of Exibart Valentina Tanni; the Director of Museum Carlo Zauli of Faenza Matteo Zauli; Luca Panaro art critic, curator and professor at the Academy of Art of Brera in Milan; the Director of the international Tina B Festival in Prague Monika Burian; Chiara Barbieri Publication Director of the Peggy Guggenheim Collection; Maja Skerbot art critic and curator of Berlin; the Director of the School of Visual Arts and of the IED (Istituto Europeo di Design) Rossella Bertolazzi; Kristian Jarmuschek art historian and curator in Germany. In the past 4 editions, Arte Laguna Prize counted the participation of more than 13,000 works of art from all over the world. 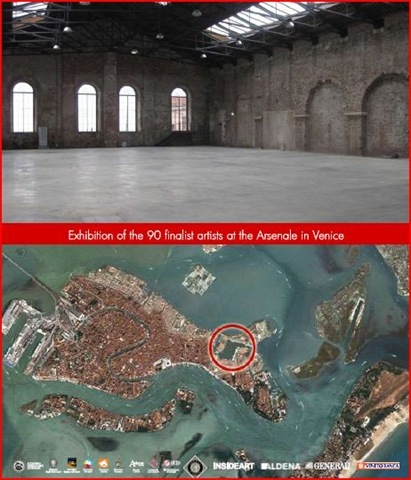 The winners created exhibitions in Venice, Vienna, Prague visited by over 20,000 people. 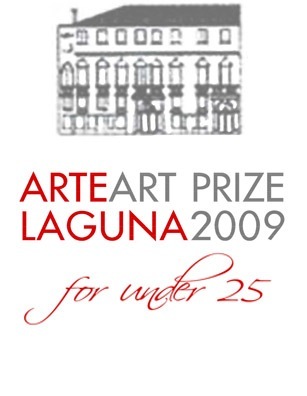 Thanks to Arte Laguna all the winner artists have improved or started their professional carreer building collaborations with art critics, curators, museum and festival directors, art collectors, international gallery managers and with the business world. All these contacts have been improved and strengthened during these years, making the Prize an international showcase and a unique opportunity. 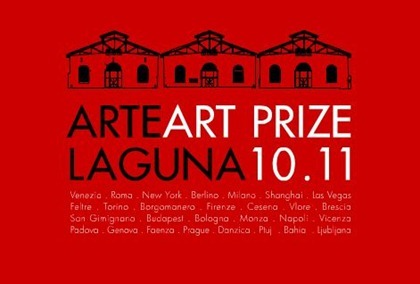 Now starts the 5th edition od the International Prize "Arte Laguna" that offers an ammount of prizes of 100.000 euro and the Collective Exhibition at the Arsenale in Venice. 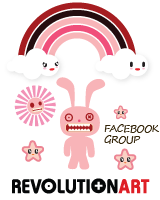 You can participate until 10th of December. The prize, organized by the Italian Cultural Association MoCA and Arte Laguna, with the patronage of Ministry of Foreign Affairs, Veneto Region, the European Institute of Design, also this year highlights the peculiar ability to innovate and renew itself, It gained importance an value in a few years in the contemporary art system and it achieved a great success in the 2009 edition.